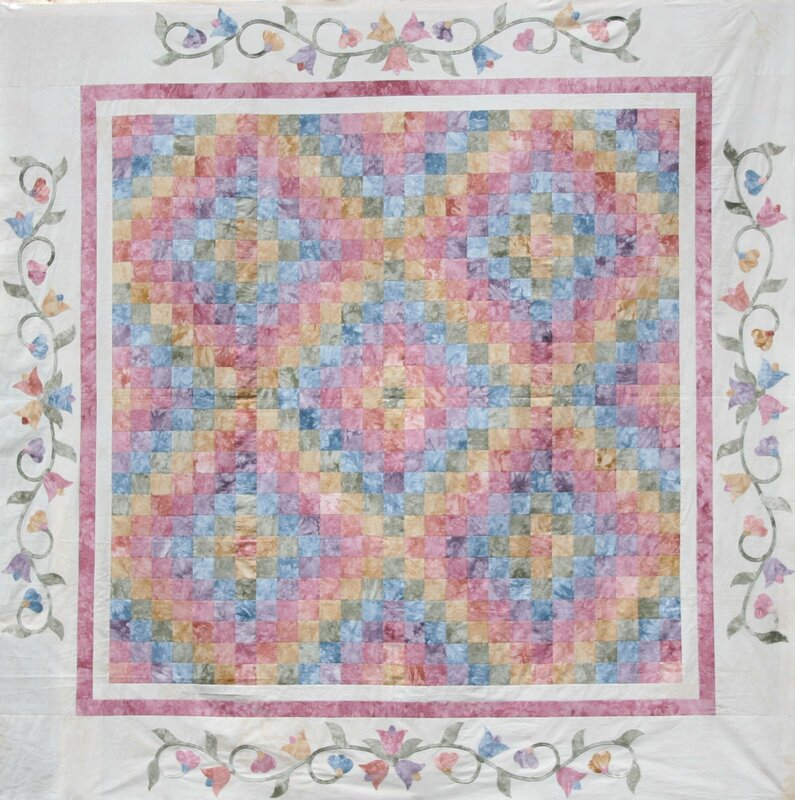 This quilt uses the simple strip pieced method. The sample is shown in the throw size. The kit includes borders, binding and applique.